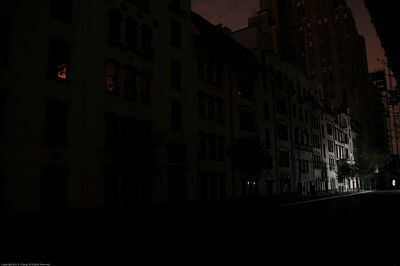 New York, NY after Hurricane Sandy. 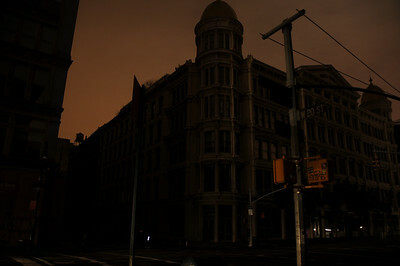 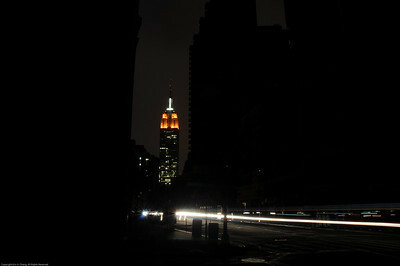 A view of the Empire State Building from the darkened streets. 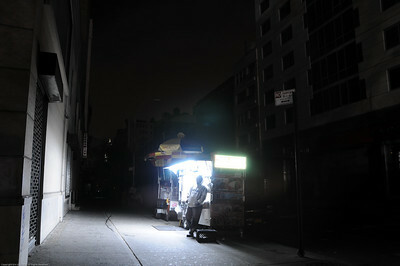 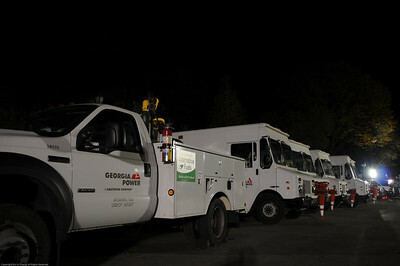 Even in a blackout, you can find a hot meal on the street. 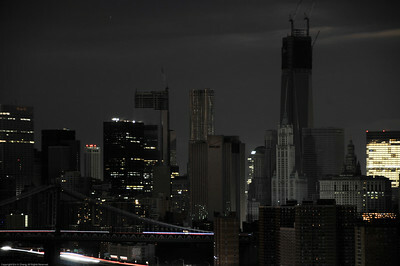 Many people got acquainted with candlelight. 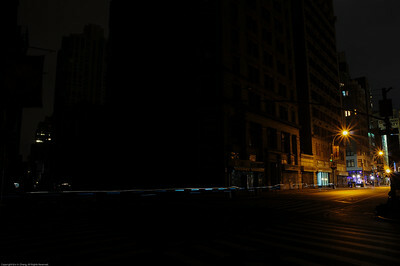 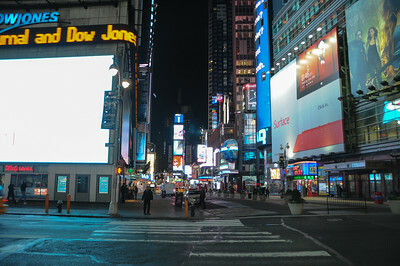 The silent major intersection of 6th Avenue and 14th Street. 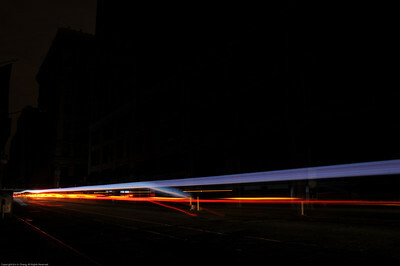 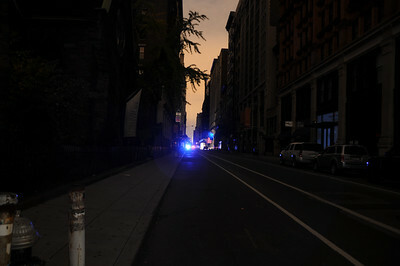 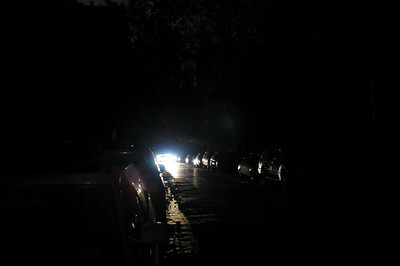 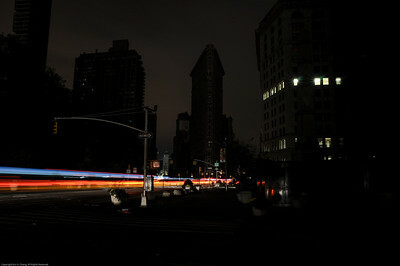 A police car passed by almost every two minutes in the darkened streets. 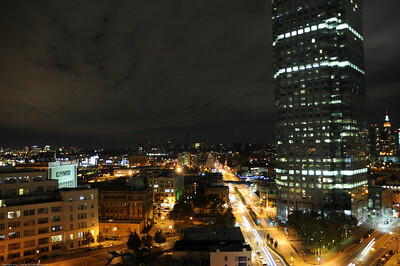 View of the Manhattan Bridge and the Financial District from Williamsburg. 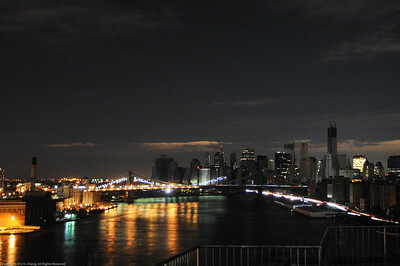 View of the Manhattan Bridge and Lower Manhattan from Williamsburg. 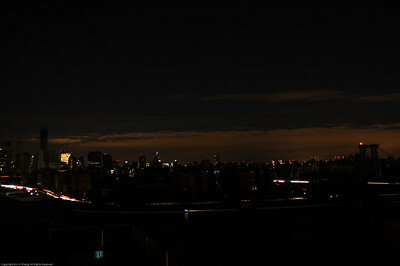 View of darkened Lower East Side from Williamsburg. 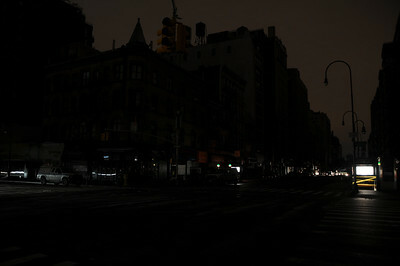 New York, NY - Unplugged. 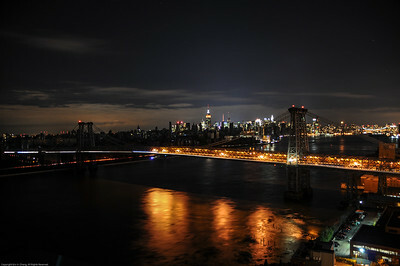 View of the Williamsburg Bridge and the darkened lower portion of Manhattan. 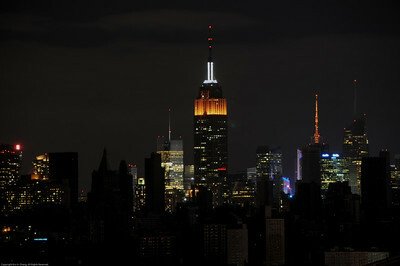 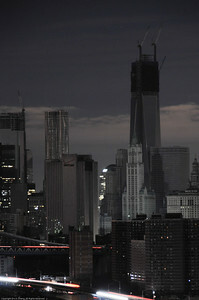 View of darkened Kips Bay with the Empire State Building in the backdrop. 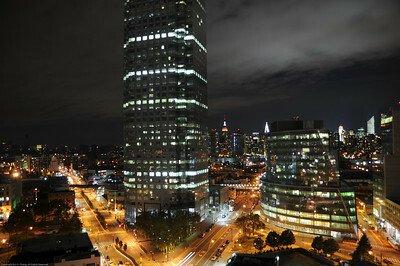 View of Lower Manhattan from Long Island City.